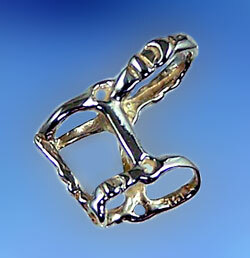 The Gorgeous Horse is your source for great custom equestrian jewelry. If you collect charms that have anything to do with horses we've got it. Here we have a full three dimensional halter.